Fast-forwarding that lecture or slowing down that complicated how-to has been part of YouTube’s desktop player for several years but the video platform recently brought variable playback speed to mobile. The update brought one of the most requested features to the mobile app beginning last week, but what took so long between launching the feature on a browser, and launching the feature on Android and iOS? And how do users access variable speed on YouTube? An inside look from the YouTube developers blog offers insight into the app’s newest feature. 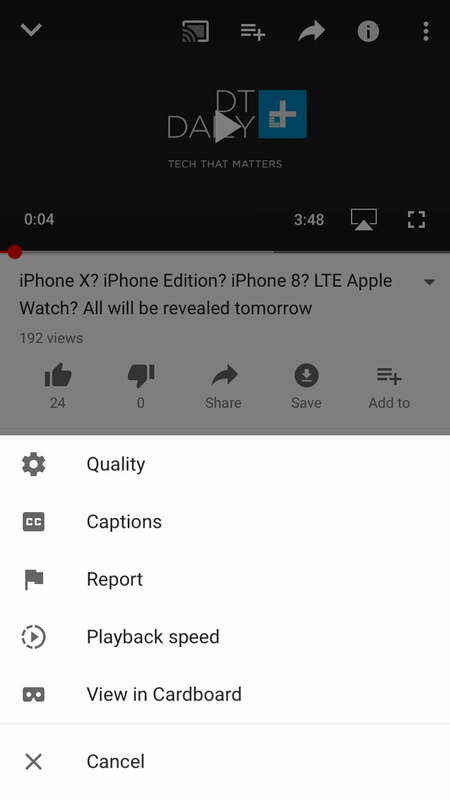 YouTube says that a number of features make slowing down a video a complex task — particularly when working with the more limited hardware of a mobile device. Changing the speed of a video involves altering how quickly the frames play, as well as adjusting the audio so that collegiate lecture doesn’t turn the professor into a chipmunk. On a mobile device, the hardware doesn’t have as much CPU and memory to reserve for the task, not to mention differences stemming from battery life and the reliability of the wireless connection. In order to slow down or speed up those video frames, the decoder has to work faster than watching the video at full speed. Working off an internet connection, that means the program needs to decode the video faster than the video can be rendered — a speed that varies with the internet connection. In order to make speeding up a video actually faster than watching it in the original time frame, YouTube developers programmed the app to adjust the video’s quality to the maximum that can be downloaded while still keeping up with that decoder. Audio, however, was the biggest problem — speed up a video without any changes to the audio and you get that chipmunk voice. (Fun fact: that was how the voices for Alvin and The Chipmunks were recorded). To slow down audio, the developers used a technique called audio stretching that allows the duration of the sound to change without distorting pitch. Audio manipulation inside the app is powered by a Sonic Player algorithm in Android, and AVplayer inside iOS. With an app update, viewers can now adjust a video’s speed from a quarter of the original speed to twice the speed. 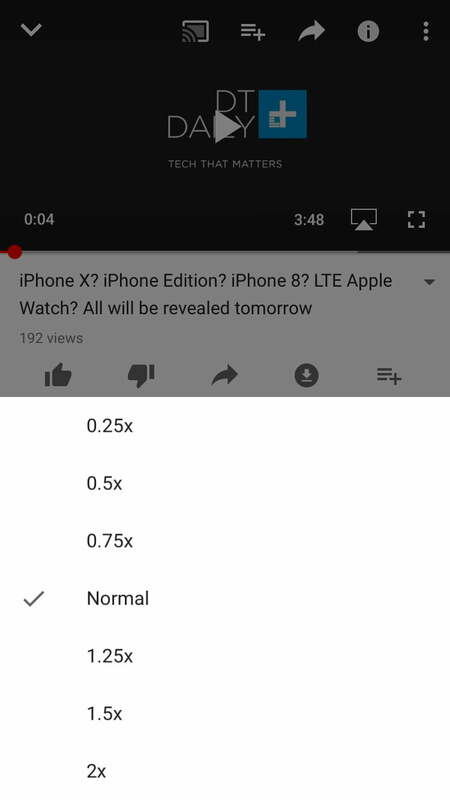 The options are located inside the overflow menu — to access variable playback speed on the YouTube app, tap those three dots “…” in the corner and select “playback speed” from the menu, then choose the desired speed. The variable speed comes in a long string of updates, including HDR compatibility and faster live streaming, features that followed a major redesign.